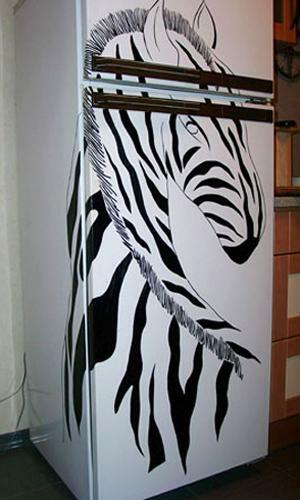 A fridge door without any decoration looks unappealing. 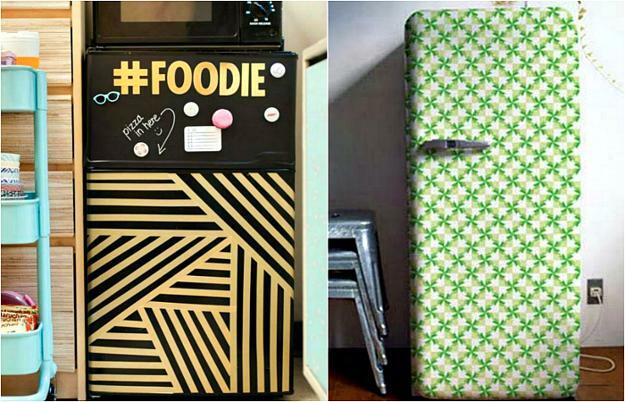 Bright paint color, photographs, and colorful magnets change its look and create a topic of conversation in the kitchen. 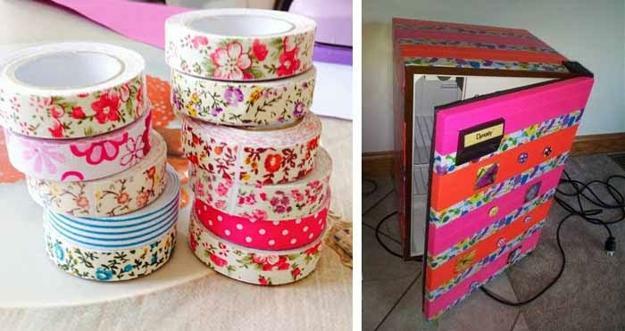 Here are creative door decoration ideas to transform a kitchen appliance or cabinet and design a beautiful centerpiece for kitchen decorating. 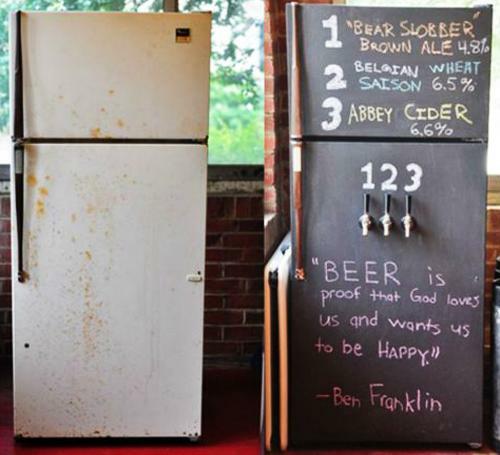 Photographs are excellent door decorations. 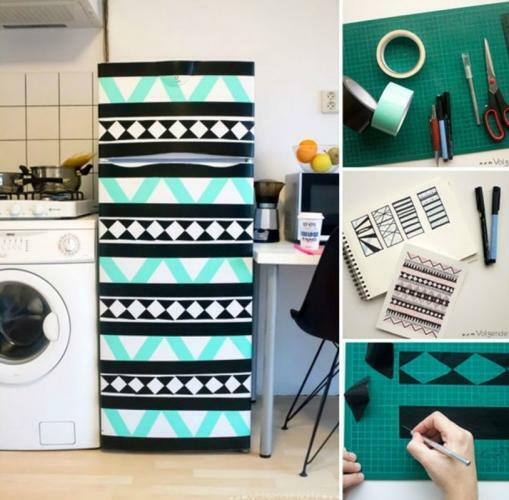 If you like patterns and bright color, you can use colorful tapes and paints. 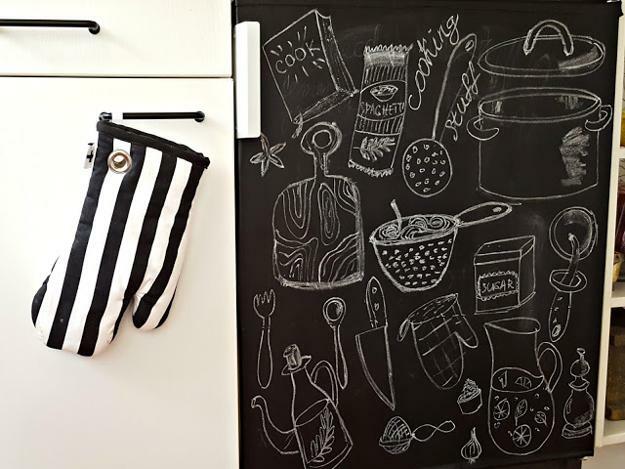 Black or bright chalkboard paint is a perfect solution for those who like to draw. 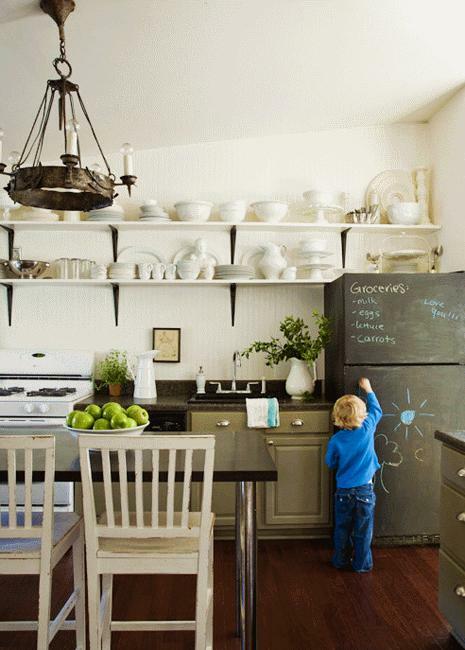 Your family pictures personalize your kitchen interior. 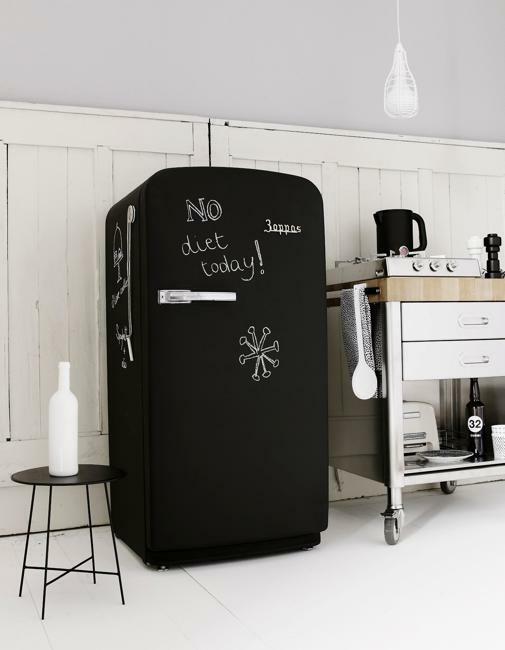 Black and white pictures and handmade drawings turn the fridge door into a miniature art gallery display. 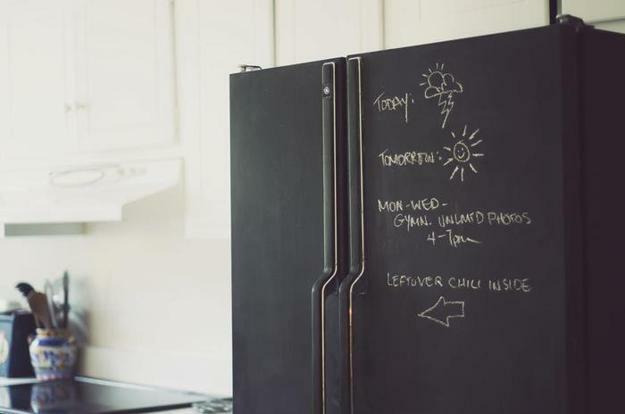 If you have children, they will enjoy drawing on all surfaces you decorated with a chalkboard paint, and you will love seeing their art every time you look in your fridge or cabinet. 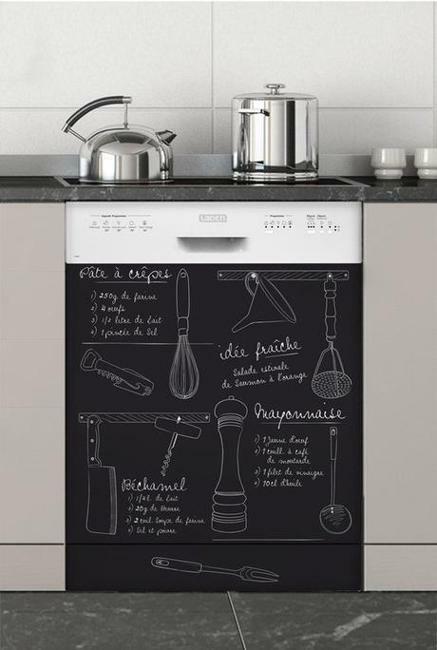 If you like drawing, a chalkboard painted surfaces will inspire you to develop your talent. 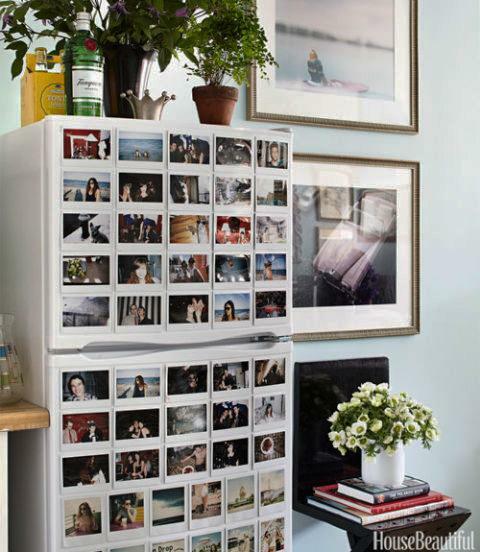 Photographs can remind of your vacations or bring art into your home. 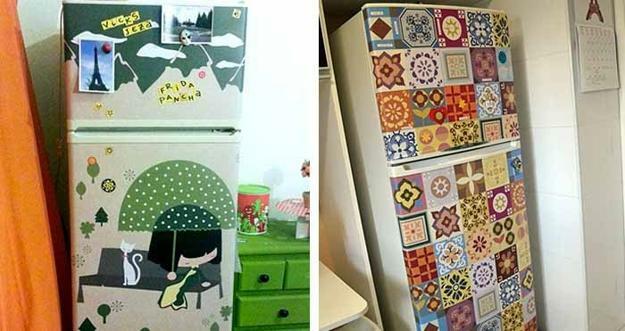 To decorate kitchen surfaces with pictures is a great idea that brings a nostalgic mood and adds a stylish retro-modern feel to home decorating. 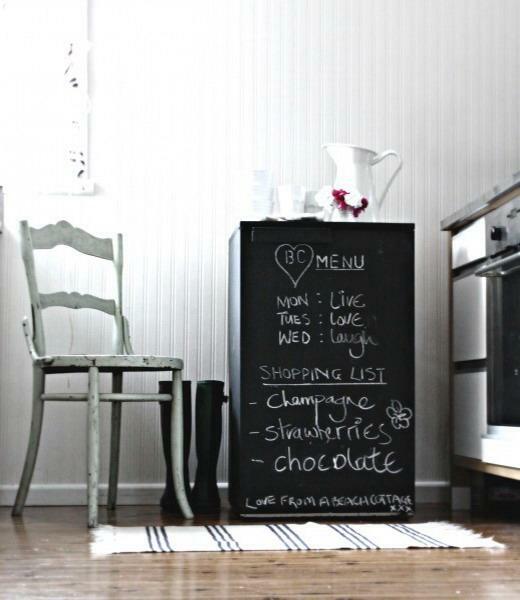 A chalkboard paint is another modern trend in decoration which allows creating a different effect. 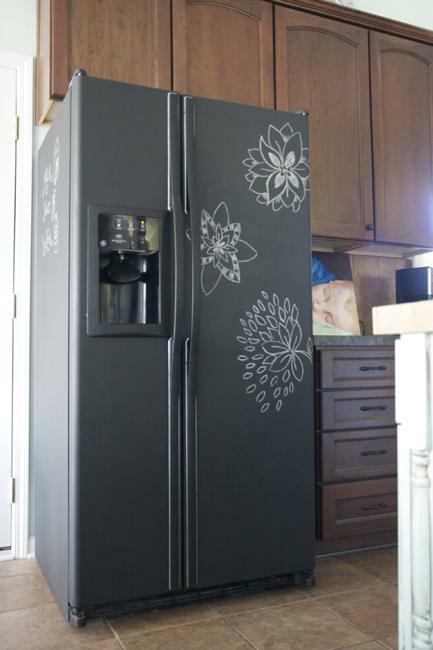 Colorful chalkboard paints are a contemporary invention that dramatically transforms kitchen cabinets and home appliances while inviting to experiment with their decor. 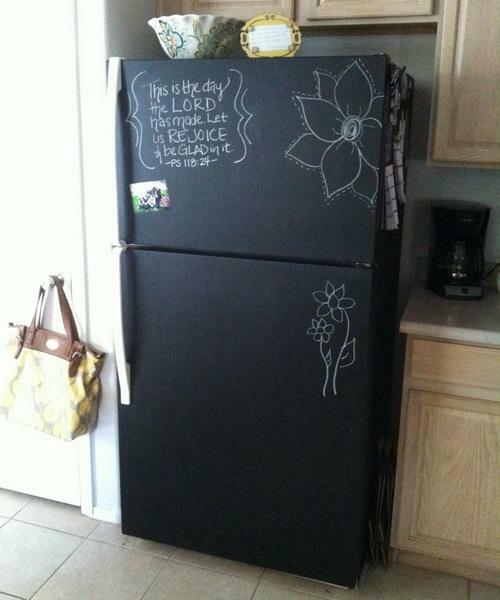 You can draw kitchen items on your fridge or cabinet doors. 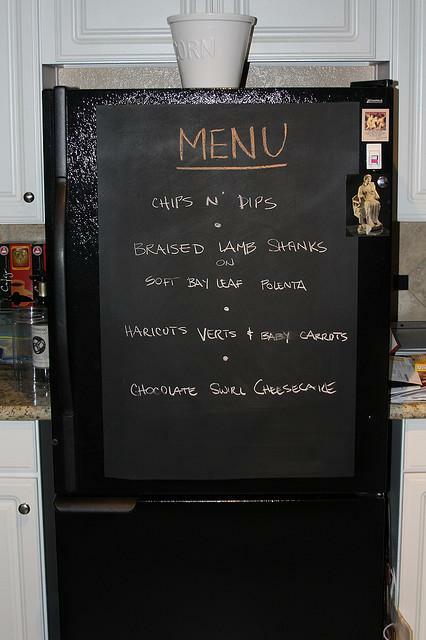 You can create a calendar, write a menu or plans.There is no limit for personalizing your chalk decor. Each time you look at the door, you can think of a warm tropical beach and exotic country trips. 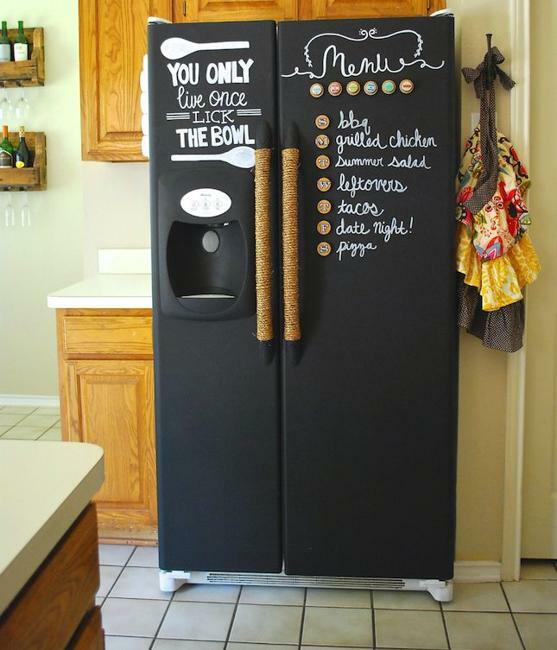 You can put up favorite recipes on the door and write new ones to inspire you to experiment with new things. 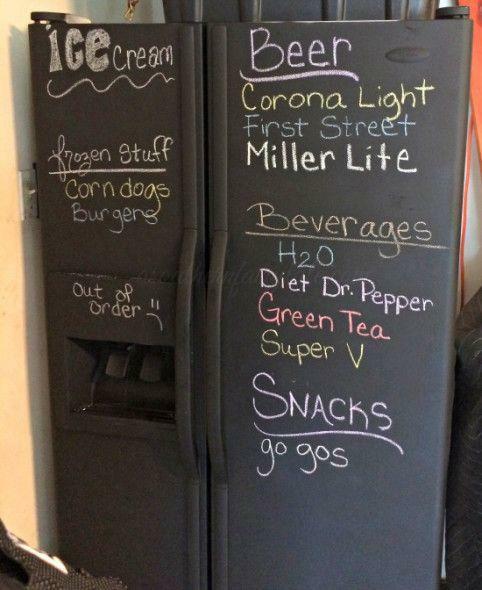 You can write meaningful words or new words to improve your vocabulary or learn a new language. 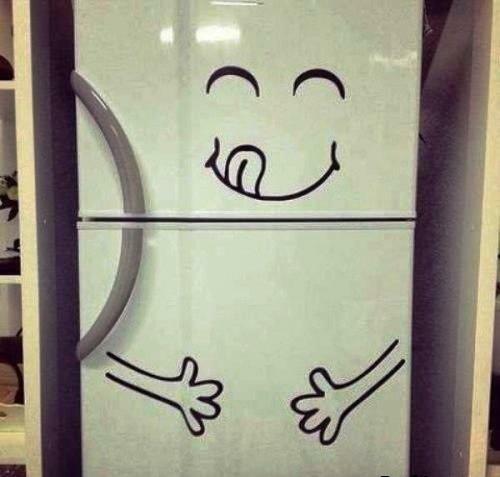 You can draw something funny which lifts your mood every time you look at your kitchen appliance or cabinet. 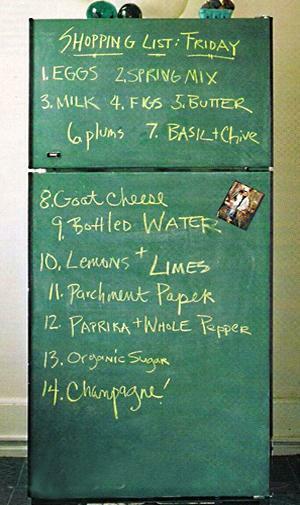 A chalkboard paint can save you money refreshing your old fridge or cabinet. 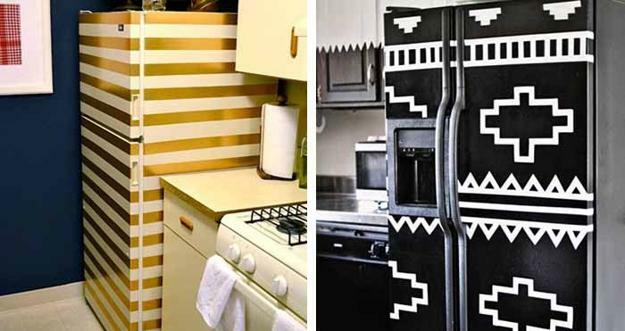 Painting ideas are a fun way to add character to your kitchen design and create a comfortable, meaningful, bright and modern kitchen decorating.